Marietta, GA. Surround Sound Installation – Home Theater System Install. HOME SYSTEM INSTALLER IN Marietta, GA. Create the ultimate home cinema experience with one of our all-inclusive Home Theater Packages. We create a perfect Home Theater Room with our experts installation experience.Dreaming of an amazing new home theater? You can create the home cinema experience you’ve always wanted with some help from Audio Video Techs, Inc. At Audio Video Techs, Inc. in Atlanta, GA, we offer top-quality home theater solutions for any space or budget. AVTechs offers services in flat panel, Plasma, LCD wall mounting and home theater design. If you’ve recently purchased a flat panel television or sound system, our experts at Audio Video Techs are able to mount, fine tune your audio capabilities and manage your home entertainment set-up to completion. Our business began with a passion for creating practical, affordable and easy-to-use systems that provide the ultimate in home entertainment. We continue that tradition today as we strive to offer products that deliver the highest value for your money. Our highly efficient business model and tremendous knowledge of the consumer electronics market allows us to compete with any and all local retailers, big or small. In addition to the experience we have designing and installing theater systems, we can handle whole-home music and outdoor audio systems as well. Smart-home technology, including remote control programming, is also available. Lighting installation – Marietta, GA.
Home theater installation – Marietta, GA.
Our excellent reputation has been built up over 20 years of industry experience. Always prepared to faithfully serve residents throughout the Atlanta area, our punctual and professional staff is standing by to take care of your installation needs Monday through Friday, 9am – 5pm, and weekends, by appointment. Give the home system installers at Audio Video Techs a call today to schedule an appointment for a free consultation at your location. With high-definition surveillance cameras in and around your home, you can monitor activities real-time whether you’re in the house or halfway around the globe. The security video company in Atlanta, GA, that has eyes everywhere is Audio Video Techs. 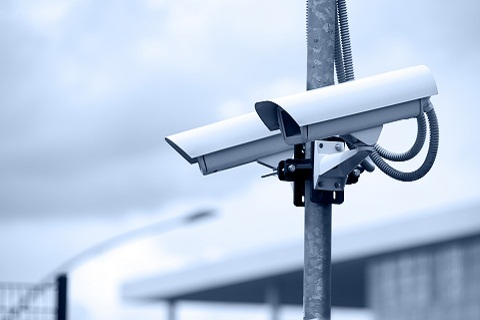 We’re prepared to install surveillance systems and security cameras in homes, schools, and businesses in order to help keep you, your family, your employees, and your belongings safe. We were contracted to install a 70 volt Bose audio system at a local retail store at Lennox Mall. The system consisted of 18 speakers and 2 70v amps. The system was design to have dual zones, one for the ladies department and one zone for the men department. At the start of the project, we were required to rough in speaker boxes, pre-wire the audio system for the entire store, read blueprints and audio schematics, and locate each speaker for its specific location. Once all the construction was completed we returned to install all of the speakers and components that were necessary to complete the project. All units were installed to 100% satisfaction and operate seamlessly. We were contracted by a Service Company MPO to do a install for a children’s clothing store. The scope of work included mounting a 50 inch Panasonic television along with installing a 70 volt audio system. The system was designed to entertain the children while the parent shop. We installed a Mbox media system to the amplifiers to provide endless background music for the patrons. The entire install took 1 day and the client was 100% satisfied. We were contracted by a hotel on West Peachtree street to install a television in the hotels breakfast dining area. The client had a 55 inch Samsung flat screen television to be mounted to the wall in the breakfast area. We came out the same day and analyzed what needed to be done to make the install a success. We gave the client a variety of service installation options. We install the television on a full motion mount, which gave the client several options of positioning the television. We also install all of the hdtv cables and electrical power supply. The entire install was completed in 4 hours and the client was 100% satisfied. A dental lab needed a training room design for its managers to train new employees. We design a room that consists of a 120”recessed motorized screen by vutec and a Dell high resolution projector. We also included the infocus lite show, which allows the customer to transmit information to the projector wirelessly. The device is great when you have several employees using the same projector periodically throughout the day. Once the software is on your laptop, the video from your computer will transfer to the projector wirelessly. We used our ceiling mount projector mount to support the projector and were hidden above the drop ceiling so that was not exposed. ATI and TLC joined forces to install a video system at a local bar. This project consisted of us mounting 2 TV’s behind the bar, a Zantech IR kit and two DIRECTV receivers that provided satellite programs. This was a stream line install for our team, due to the open space of the bar. The entire install was completed in 1 day and now customers can sit at the bar and enjoy the news or their favorite sporting event. Audio Video Techs, Inc. ensures A/V receivers are the right fit!